My relationship with my Mother was never like my relationship with my Father. I met my Father first, and He led me to my path. I met my Mother months later, after reaching out to Her for help. She told me that She takes care of Her own, and I was completely unaware of this significance of that statement. Even after my RPD, I did not connect with Her as intensely as I did my Father. After all – my Father is practical, laid-back, and often very informal. 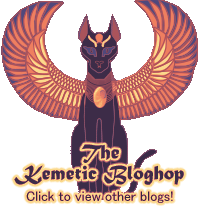 Sekhmet is not exactly known for being low-key, and I struggled with how to approach Her. I started to really get a grip on Her this year. I am a child of Sekhmet-Mut – a syncretic form of the Sekhmet, the Eye of Ra responsible for the slaughter of the enemies of Ra and many others, Mistress of Plagues, the Red Lady; and Mut, the Queen of the Gods and wife of Amun-Ra. 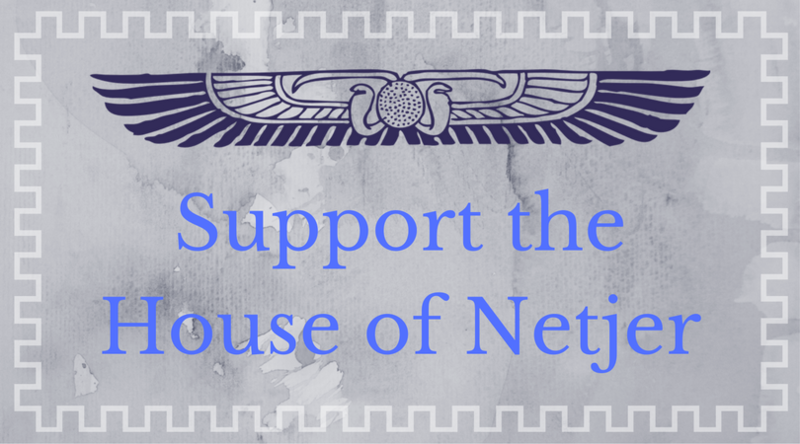 Sekhmet-Mut is the meeting of these two places – the Queen as a Ruler, as the force of Justice and Mercy. It is Her love for Her people that guides Her hand. I think the biggest reason that I felt so distant from Her – and maybe the reason that others would, too – is because I expected Her to be stern and foreboding. I expected Her to be the Queen at all times, to be cold and formal. But that was far, far from the truth. I have met my Mother, during the Sekhmet Healing Ceremony at Retreat – and I was absolutely stunned by the warmth and joy She exudes. She is decidedly not tolerant of folly, but She is the deepest love I have ever known – love bright enough to spur a blinding rage for Her Father, love radiant enough to kill for. It’s hard to explain how I feel near Her; it is the kind of love that pushes you to the ground because it is completely overwhelming. I just sit in front of my shrine and smile, and bow – which seems incredibly appropriate for a Queen.